Dave Woodward from Badgerlord Studios is a wonderful, talented artist who is quick, takes direction, and has reasonable rates! He is also a super-cool guy to LARP with! Dave was kind enough to help me with my art needs for Boldly Go, that game that I talk about almost constantly, but which hasn't yet been released. However, with the way Dave produces art, the theoretical release date for the game draws ever closer. Today, I'd like to present the portraits that Dave has done for some of the game's "iconic" characters. These characters are the crew of the game's iconic ship, SFS Oswego, and they feature prominently in all the rules examples provided throughout the book. There's even a few continuing narratives in the examples, for those of you who, like me, might like that kind of thing. 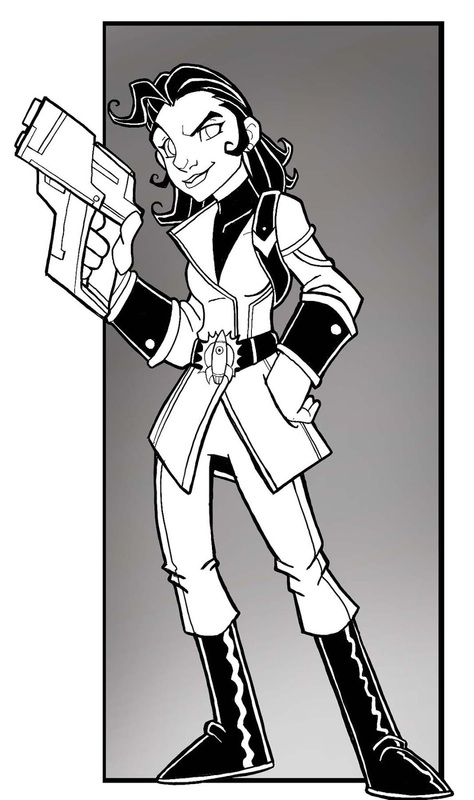 Our first character is the first character I ever designed, Security Officer Janine Tarian. She's a brash, slightly-overconfident human security officer of Iranian descent. She believes that there's nothing, whether in space or planetside, that she can't handle and, as far as anyone can tell, she's been 100% right about that so far. In play, she has been known to leap face-first into dangerous situations and to blast raysers straight out of her opponents' hands. Our second character is Omolara Namuyangu who, funnily enough, isn't the first sample character that I've designed who has been named Omolara. I think it's because Omolara is a really pretty name. This Omolara is the Chief Science Officer on board the Oswego. She grew up in Fort Portal, Uganda, and is known for her stoic seriousness, determination, and resolve. She once saved the crew of the Oswego from a deadly disease while suffering from the disease herself. When she's not reading up on the latest scientific discoveries or working with the crew to analyze new samples and species, she can be found in the Oswego's gym, running laps on the track. 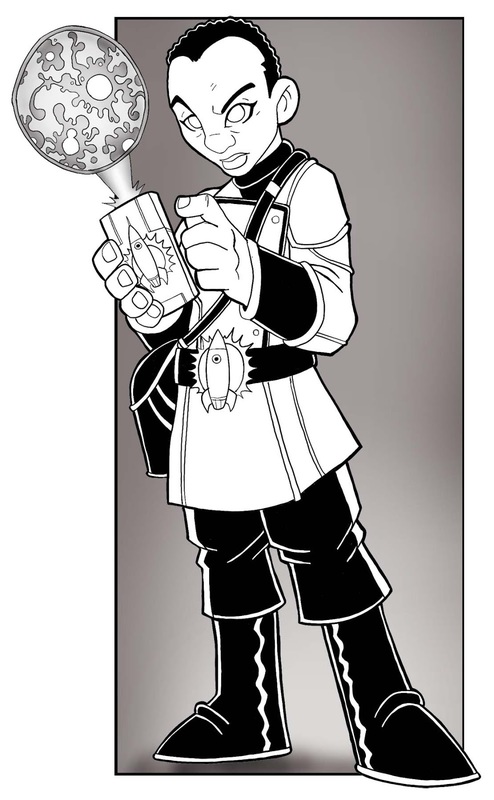 I am very, very pleased with how Dave has chosen to render my characters. He has captured their personalities, done a wonderful job on the uniforms and gear, and has made them really stand out, both in their own right and from one another. My favorite detail, so far, is the Space Fleet insignia, which is worn as a uniform belt buckle instead of as a badge. The starship even has ye olde timey porthole on it, for maximum sci-fi goodness. There are more crewmembers to come, so watch this space!